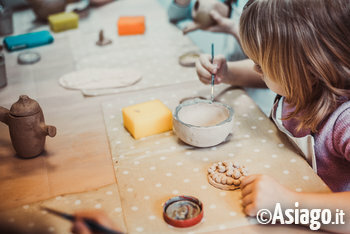 As every Thursday morning in summer, the natural history museum educational "Patrizio Rigoni" of Asiago organizes an interesting naturalistic-environmental laboratory for children between 6 and 14 years. Thursday, July 28, 2016, in particular, the kids will love to paint marble and stones with the workshop "MASONS for a DAY ... With colors-the quarries and dig stones". It is an opportunity for children to socialize and make new friends, as well as to give free rein to creativity.